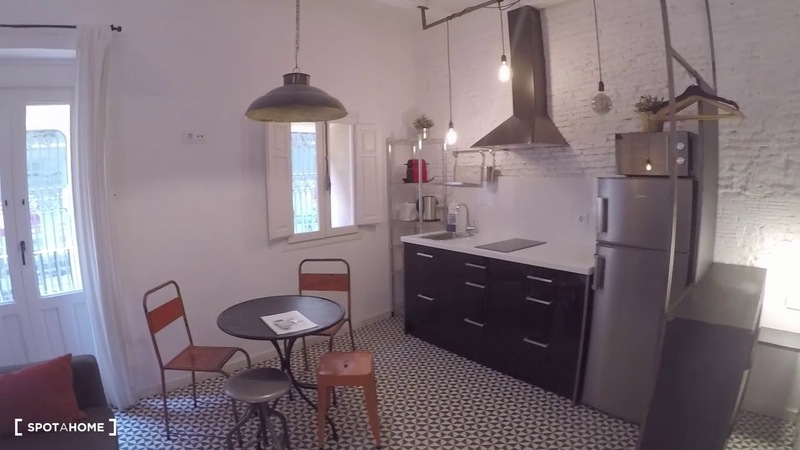 This sleek studio apartment is available for rent in Barri Gòtic, Barcelona. There is a double bed, a sofa-bed, and a dining table and chairs. The kitchen has an electric stove and microwave. There is a sofa-bed, perfect for having guests. This property is on the 2nd floor and there is no elevator.